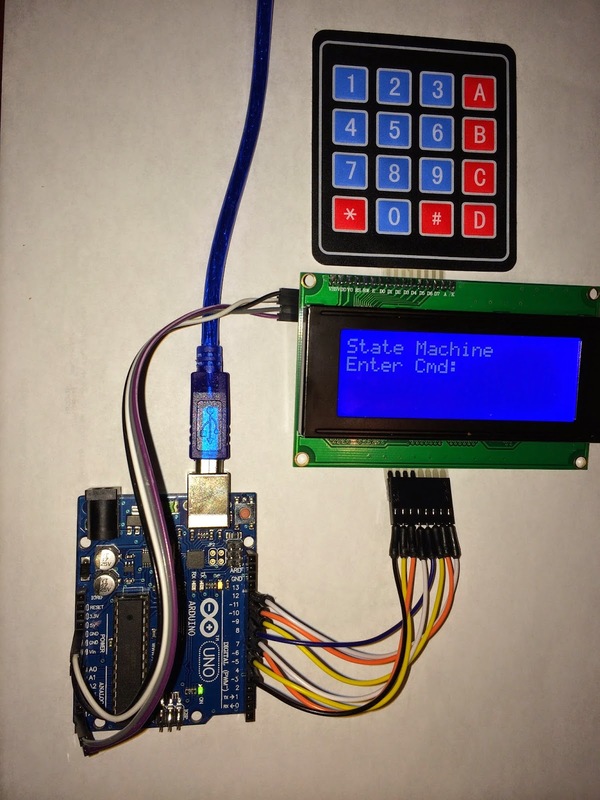 Keypad Input Validation using State Machine Programming. You have a project that accepts commands using a keypad or receiving the data serially and want to perform validation on the commands as each character is typed. But how? 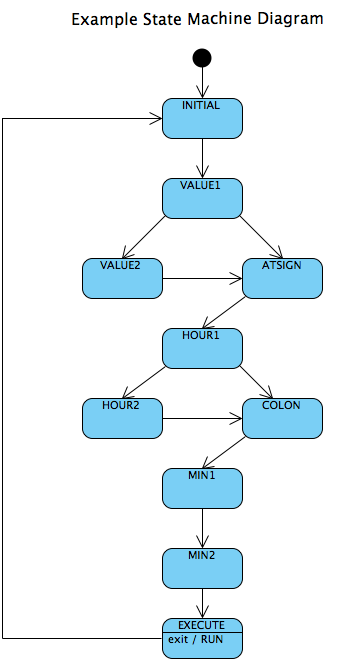 Use state machine logic / programming to solve the problem. If you aren't familiar with or haven't used state machine logic in programming, it is the easiest way to to break complex problems into manageable states and state transitions especially for handling serial input. One of the easiest ways to implement a state machine is to use a switch statement. In my opinion it is the only way to implement serial input commands. Let's now apply this logic to your project. Break the commands into states. The easiest way is to consider each character in the command as a state. Create a list or table of all the combinations within a command or commands. For each state determine what keys are valid and the next state. Continue until you have completed all the valid key and next state. Create a switch statement with each state as a case. Add any additional limit/range checking on values. See example code. It utilizes the serial terminate and some helper functions for debugging. The complete working example is available here. The working example is meant as a teaching tool and doesn't have full validation on the values. This example does include code to use the serial terminal to help you debug. I hope this article is helpful and useful to someone interested in validating keypad input using state machine programming. Feel free to use this code and example to validate you next project using a keypad for input command.